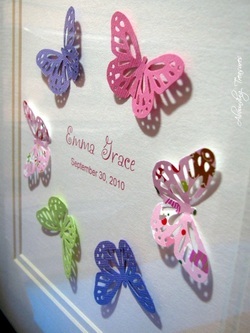 My 3D Paper Art can be CUSTOM MADE just for you, and many can be personalized. I have a wide selection of READY to SHIP items available at all times in my shop. Each 3D art creation is signed by hand and dated with the year on the back. All are individually handmade by me and as such, their very nature means that there may well be imperfections. There will be slight variations in layout and minor details -- all of which makes your bespoke / custom order unique! If you see something you like but prefer it any other way, please contact me to discuss whether it's possible. I try to be as flexible as possible, but there are sometimes limitations to this depending on the size and orientation of the paper creation. If you not sure please contact me so we can discuss options and ideas. I can create custom, unique 3D pieces using recycled magazines, vintage childrens' books, your favourite book ... imagination is virtually the only limit. Please contact me for details.